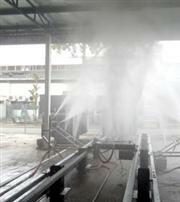 Cyclosystem's high performance and modern Train Wash Plants employ the latest technologies to clean a Train automatically - either on a weekly or daily basis. Automatic Bogie & Wheelset Wash Plant is a two or multi-stage cleaner which cleans a Bogie, Wheelset or other Rail Car components in a closed chamber automatically using specially-designed high pressure oscillating spray jets system. The UnderFrame Cleaner (UFC) is a specially-designed system which makes use of high pressure jets to clean the under carriage and sides (below the sole plate) of the train automatically. 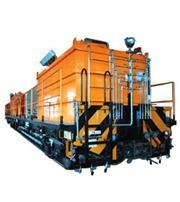 The Track & Tunnel Cleaning Wagon (TCW) can be designed in either as a Shunter tower or a Self-Propelled vehicle.